We offer our services to residential, commercial and municipal customers. Residential tree care requires more than just removing unwanted trees and shrubs. Safety, property enhancement, security and long term landscaping plans are all important aspects to consider before removing trees from your property. 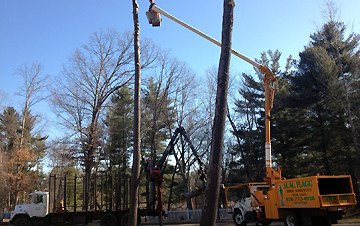 Special care is given when removing trees to ensure that no other trees or structures on the property are damaged. 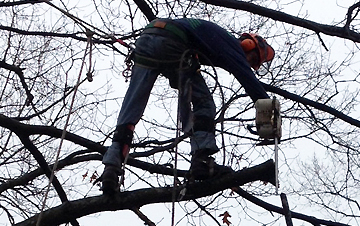 Our staff of skilled tree removal experts strive to guarantee your satisfaction with the work performed. Commercial tree care service requires a good solid working relationship with a company you can depend on. 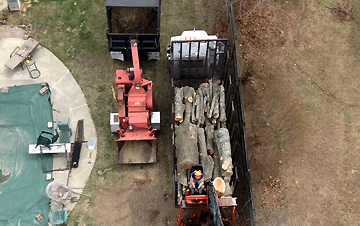 Our attention to safety and detail allows our staff to remove unwanted trees and brush with minimal risk. Removal of dead or hazardous trees and brush from public streets, parks and other property lots is a concern for each community. Power lines must be kept clear of any trees or branches, young trees must be pruned to direct proper growth and development. H.M. Flagg Tree Service is an experienced and knowledgeable tree care service company that can help you meet these safety requirements. When a tree is considered hazardous, it is essential to eliminate the potential liability it poses by removing it. 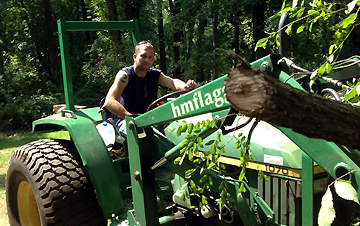 In all cases, tree removal should be handled by the reputable professionals of H.M. Flagg Tree Services. 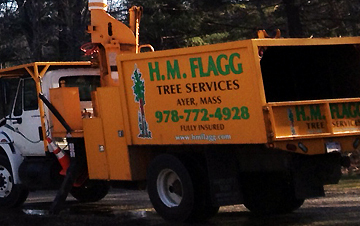 H.M. Flagg Tree Services has proper equipment, experience, and the expertise to remove any tree in any situation. Proper thinning is necessary to maintain or improve the health, appearance and safety of your trees. Whether it is crown cleaning (removing dead, diseased or infested limbs), crown thinning (removing of select live branches), creating better structure to lessen wind resistance and reduce the potential for storm damage, or simply improving the overall appearance and safety of your trees, H.M. Flagg Tree Services is experienced in determining what type of pruning is necessary. We provide free quotes for all our services. 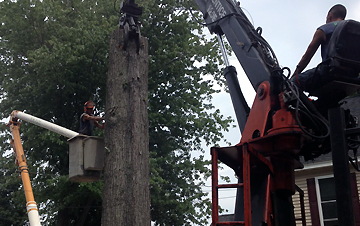 Whether pruning or removing large trees, we will assist you in determining the best options. We are fully covered with liability and workmans compensation insurance. Professional Quality Workmanship...EVERY JOB!